Why Get Involved With the Summer Study? “Many other competitions are just memorization. You memorize a Scripture, but you don’t necessarily understand it. The Bible is like a box of tools. You have a lot of tools. They are really useful. If you memorize, you get the tools. How much more valuable is it to not only have the tools but also know how to use them. 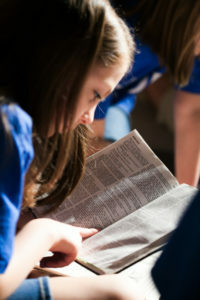 Join the adventure this summer and find out more about how to use the tools to unlock Scripture. Register today here.